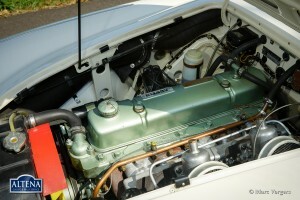 Capacity:124 bhp. 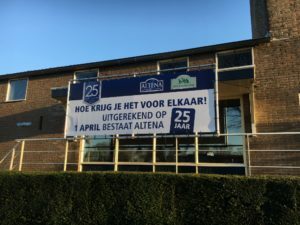 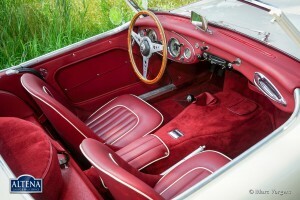 at 5250 rpm. 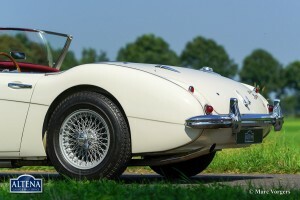 Austin Healey 3000 MK I BN7 two-seater, year 1960. 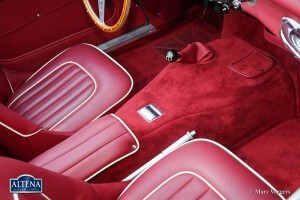 Colour ‘Old English White’ with a red leather interior trimmed with whte piping. 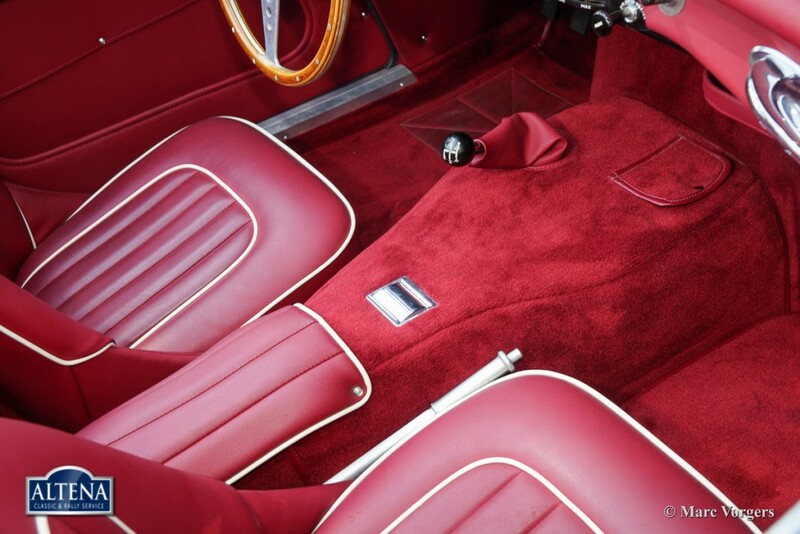 Red carpet. 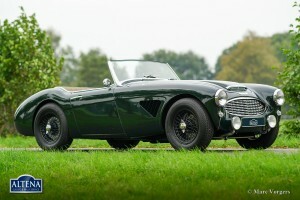 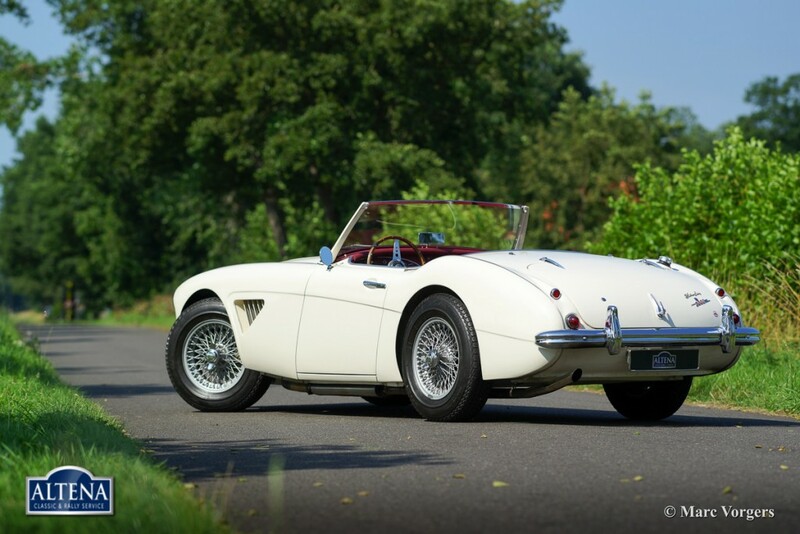 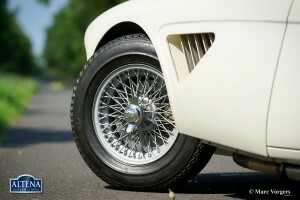 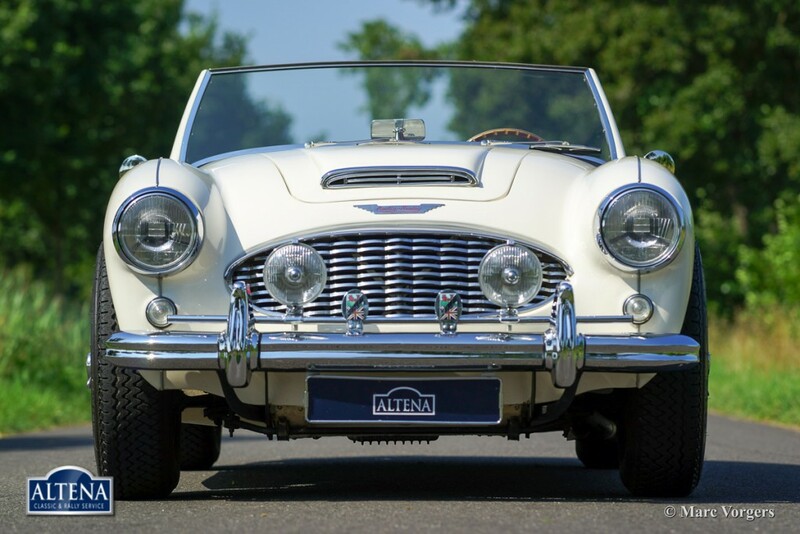 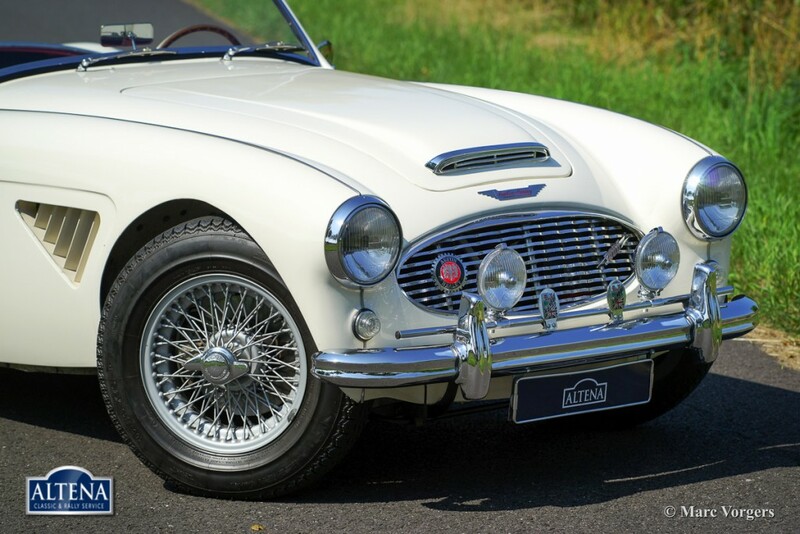 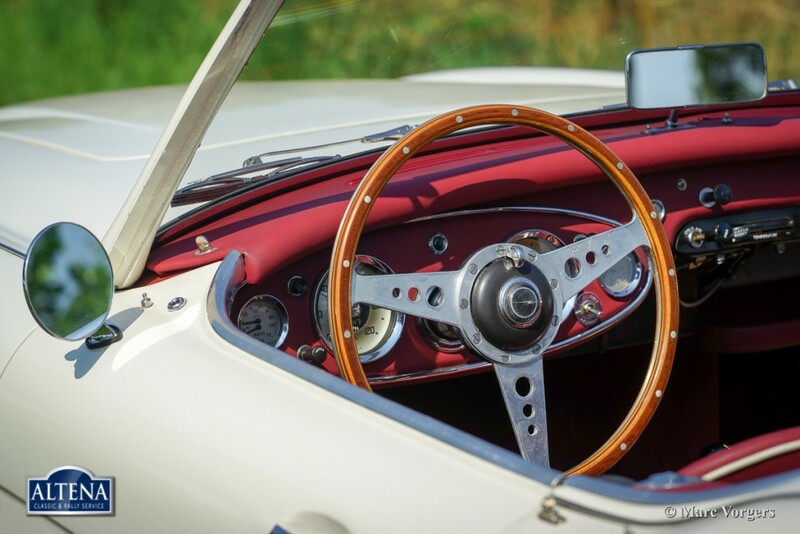 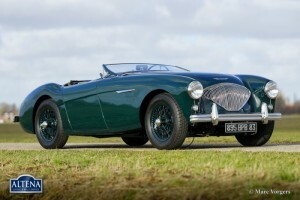 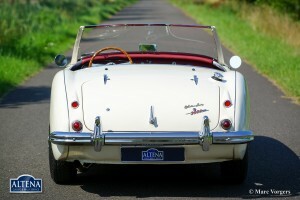 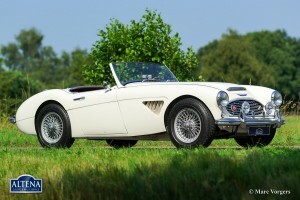 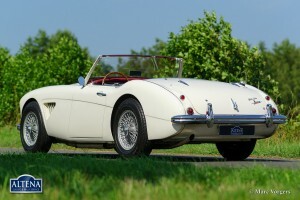 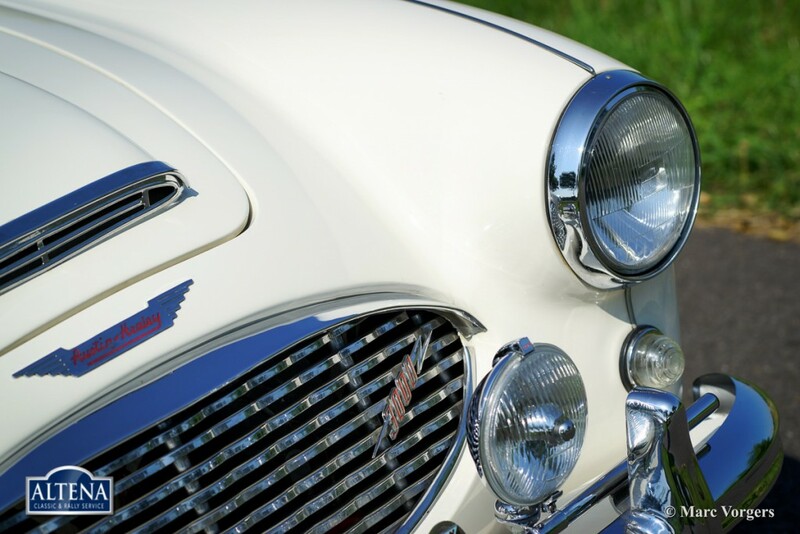 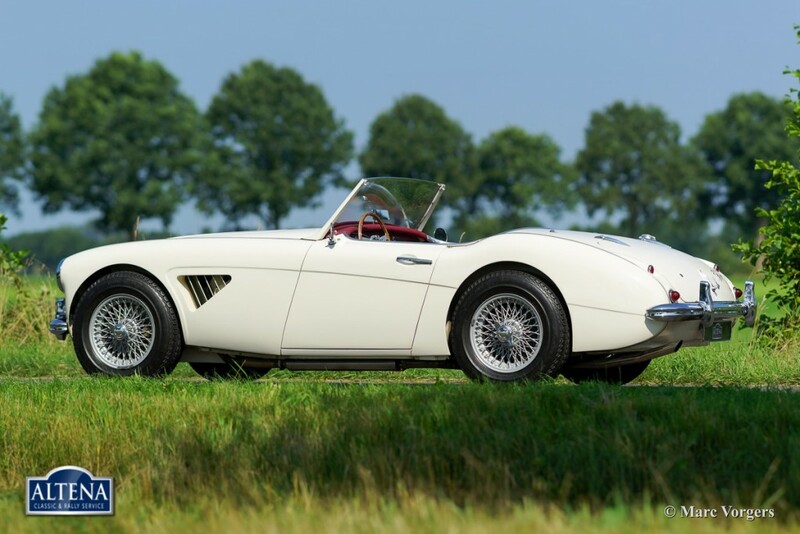 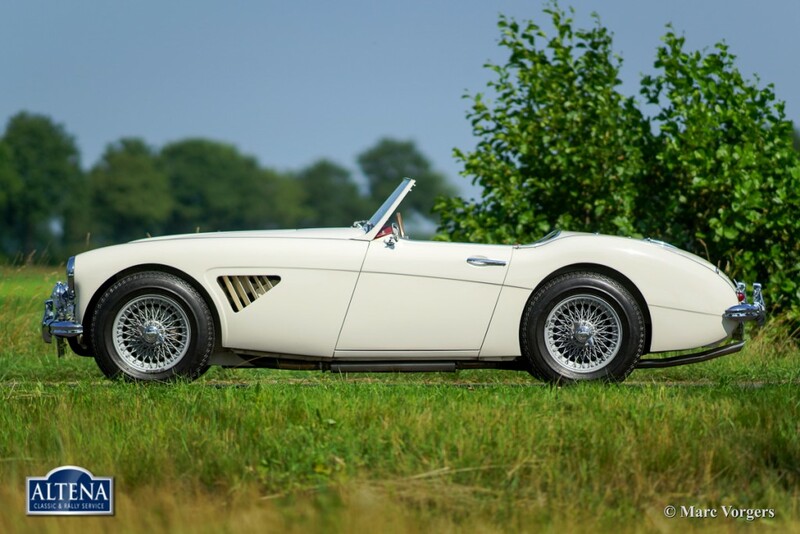 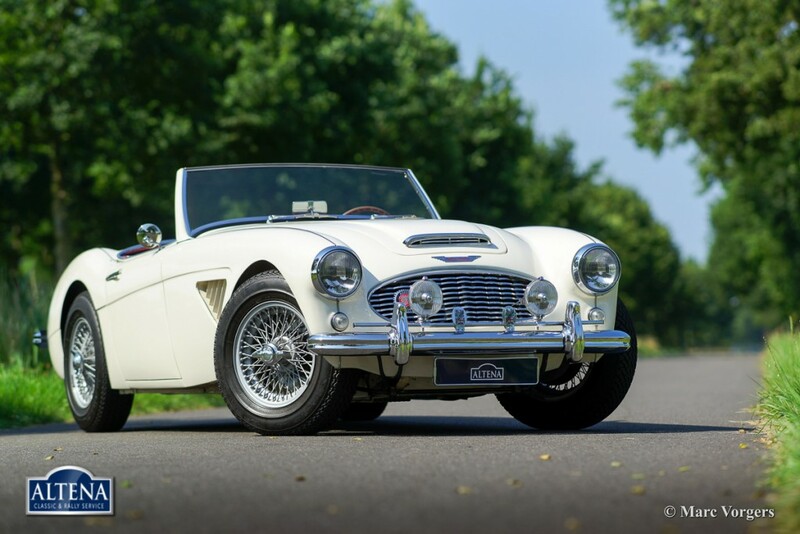 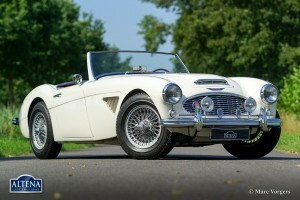 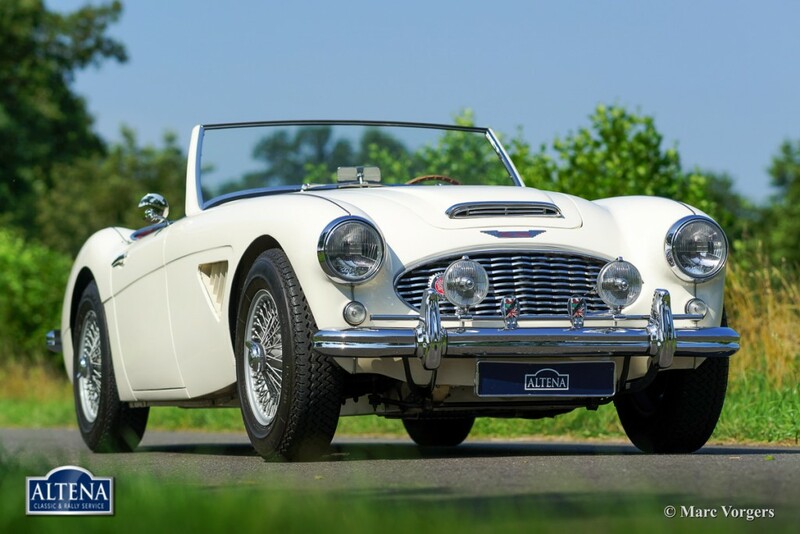 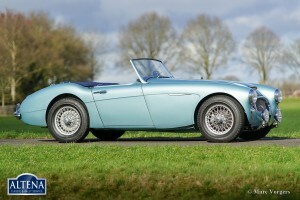 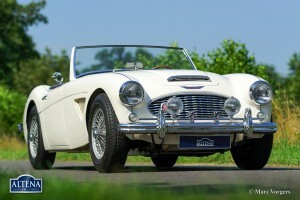 This fantastic Austin Healey two-seater is in excellent condition and the car drives perfectly. Recently the gearbox was overhauled. 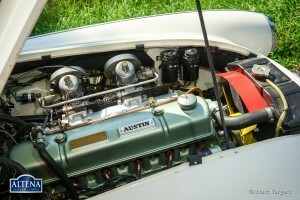 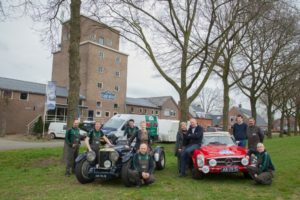 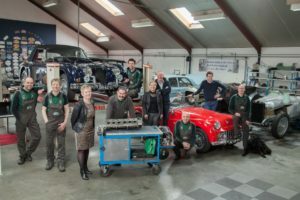 The car features overdrive, silver enamelled wire wheels, a MotoLita wood rimmed steering wheel, a badge bar with two Lucas fog lamps, louvres in the front wings and a Stainless Steel exhaust.